inch x 1 1/2 inch stone. 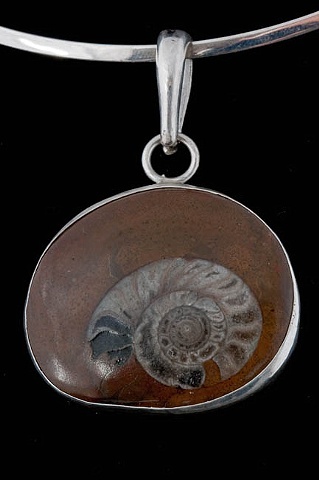 Ammonite marine fossil. Sterling silver neckwire with 2 inch x 1 1/2 inch stone.